As with all intimate relationships, the one between actor and director is built on trust. Just as actors come from different training backgrounds and varying professional experiences, theater directors come with their own beliefs, philosophies, and approaches. 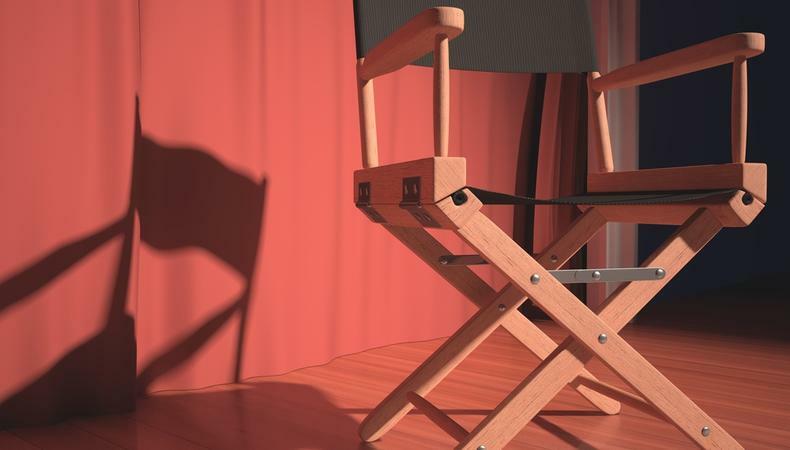 These differences can potentially throw the relationship between actor and director out of sync if trust is not formed early on in the process. 1. Don’t wait for the director to tell you what to do. This way of thinking can be a form of sabotage. It’s true that the director is the captain of the ship but a crew knows their job well and will be ready to execute the captain’s orders when necessary. The same holds true for the actor. Don’t put your creative process on hold. Lay your foundation, engage with your craft. Become as familiar with the material as possible so you have something to contribute. Having homework done on your character will inspire confidence in your director about your abilities. 2. Know how to translate your director. All directors have different styles and sometimes it can be a challenge to know how to process their direction. One common example is how to handle results-oriented notes. Not all directors know how to communicate in the language of an actor. If a note is results-oriented, be mindful not to take it too literally. Mull it over, ask yourself the “why” questions; humanize it. Many times you can translate “bigger” into “urgent” or think about a strong active verb phrase to translate a direction such as “louder” into something more along the lines of “to broadcast” or “to assert.” If you need more clarity it’s ok to ask, but beware of talking to the director like you would your acting coach. A director who is interested in helping you justify your character’s motivation is rare, so be prepared to do a bit of translating. 3. Don’t throw everything away. If you’re in rehearsal and your director gives you an adjustment, it doesn’t mean they want you to throw everything out the window. We are artists, not robots. If we merely do what the director tells us, that is how it will look. Often, we can use our craft to transform a director’s note into looking even better than they imagined. Think about the adjustment. Think about motivation and action and really try to breathe life into it. Your director will be grateful because you helped transform their note into something that is organic and alive. 4. Remember that the director is on your side. Even though they may not completely understand what we do, many directors are fascinated by the actor’s craft and enjoy being there when we find our wings and fly. Let go of right or wrong—it’s not about having all the answers. A good director understands that the actor needs time to process, try things even if they’re not working, and passionately debate the meaning of a scene if necessary. Hold onto your joy of the work, take risks, make strong choices about the character you are creating, and stay in your freedom. It will energize your fellow actors as well as your director while you all work to solve the mysteries of the material and make incredible art. *This post was originally published on Oct. 3, 2018. It has since been updated. Check out Backstage’s theater audition listings! Greg Braun is a professional actor and co-founded New Collective L.A. in 2009 along with Matthew Word with the mission of creating a nurturing and empowering conservatory-style acting studio in Los Angeles. Greg has previously taught for Susan Batson at her acting studio for more than fifteen years in New York and Los Angeles combined.